I am in love with the wood plank wall and all the art work. You did an awesome job and you lived up to the hype, my friend! :) That light blub lamp is boss! Brandi, it is gorgeous. I love the idea of putting wood flooring on the walls. Calebs room will be perfect for years to come. It is tough when they get bigger and want the big kid room becasue there are so many memories, for us, tied to their little bedrooms. My youngest just announced she wants an orange room...really orange. Lawd help me! A beautiful, masculine yet youthful room for your sweet Caleb! Brandi, I have enjoyed each of the details you created here, even down to little Myrtle! This is a space Caleb will enjoy for many years! You did an amazing job, Brandi. (I'm with you - there is a sadness to it, as well as the joy because it goes by so fast.) But I know he loves it! I really do love this room! So many great details that I don't even know where to start. What an awesome job! LOVE the flooring wall & the chalkboard doors! Looks fabulous! Amazing transformation Brandi. So many fantastic elements perfect for a teen boy (who by the way is quite handsome with a fantastic smile). Great job!!! The plank wall is brilliant! Love the contrast of the darker wood against the painted walls. And I never had a flat screen in my room as a kid. Lucky boy! Oh my gosh, Brandi! All of your details are amazing ~ love the art, chalkboard closet doors, planking...I could go on and on! Fabulous job! LOVE his room! And what a handsome young man he is - love that grin! You did a wonderful job. Great ideas! Thanks for visiting Atticmag too - glad I found your blog. What fun details! Love it. Wow Brandi, Caleb's room looks fabulous. There are so many gorgeous details. I understand how you feel completely. No matter how old they get they will always be our babies. Amazing! I love the wall. I can't wait to move, my ideas are already swirling about the changes I am going to make. My favorite is the closet. I love it. Great job!! Brandi you have out done yourself. I love the wall and all the art. I'm sure he is so happy with the final room. OMG I love love love that room so vintage yet so boy I don't even know the word I am trying to use. You are wonderful when to designing I want to do one of those boards for my son in his room whenever I decorate it so he can pin things and sayings. I applaud you. I love the outcome of this. You have given me additional inspiration for my next big project to update my 1st born's room this fall. I adore you and admire you lady. Love this post! Bless you and kudos to your handsome and sweet young man! LOOOOOOOOOOOOOOOOOOOOOOOOOVE it Brandi! You are so talented! I'm sure your son loves his new room. I love how you pay so much attention to detail, it reminds me that the details of a room really is what brings it together. You are truly an inspiration! Love it! The laminate on the wall was a super idea. Did you have to glue it or does the snap/groove hold it vertically? I love that you added it to the wall with the window. I'll bet that helped keep everything bright since the light from the window can still reflect off the other walls. Also, I have the same dragon in my office that he had on his curtain rod. And I'm a middle aged woman. I guess that doesn't sell it any better for him, does it. Great job! IT's grown up and masculine but in a fun way. I'm dreading the day I have to redo my 3 little girl's rooms. ACK!! there is nothing in that room that I DONT LOVE!!! gorgeous girl. gorgeous! So many cool and thoughtful details- lucky boy! Brandi, GREAT job! Love the laminate wood on the wall (great idea). It makes a statement and blends very well with the blue. I also very much like the chalkboard closet doors. Great fix! You did such a great job! I love the art above the bed. Now I'll admit that I love everything about this room, but the plank wall takes the room to a whole other level. I could imagine your son enjoying that room for a long while. Very cool! The laminate flooring was an incredible idea!!! the green table, the drapes, the doors. NAILED it!!! thanks for stopping by my blog today. your young man deserves a beatuiful room like this just for having that "killer smile". his smile is so sweet it made me smile looking at it. you did a fantastic job with decorating the room...all those details are perfect. the knob on the green table the lamp lightbulb, I want one and the chalkboard doors. you get A plus on this makeover. This room is amazing! You did a wonderful job. I am no professed designer, but it all feels very cohesive and meaningful. I still have several years before I make it to the teenage son mark, but thanks for the early inspiration! Lol! Wow! I love that wall you created with the laminate flooring, I bet Caleb's happy with his new digs. You're awesome sis! Omg Brandi!!! His room is so fabulous I want to live in it!!!!! Really it's so sophisticated and urban and perfect for a growing young man. And you know I'm a sucker for my pak Myrtle! What a lucky young man to have such a great mom. This is the first room I'm oogling over in person when I come visit you. Great job! This is phenomenal! Any growing boy would love that room. You did a fantastic job. Fabulous room makeover! That plank wall is just stunning. It was great hanging out with you on Friday. Let's plan to get together again soon. Home Run! I love it. I am about to convert my daughters room from nursery to toddler/big girl room. I am still in the planning process but you have inspired me to get this done by summers end. Well now, I have a Caleb too, and he's 12, and I've been working on his room little by little it seems like forever! I got so many ideas from you! I love the chalkboard closet doors. I'm planning to do a wood wall treatment too, and I've used a cup pull for chalk but I totally love the idea of using it for push pins too! The room looks marvelous, I'm sure Caleb loves to hang out in there! Great job! Very grown up but still looks like a boys room. I love your choice of artwork and the drawer pull/push pin holder is GENIUS! Hi Brandi, It's nice to meet you. Thanks for coming to my blog. I hope you come back often. I enjoyed reading about the 'new' room... I raised 3 sons --and I'm here to tell you that they DO grow up too fast... Mercy Me!!!! Love the new room --and your son will be thrilled with it... You are very creative and did a fabulous job with the room. Congrats to all. Awesome job! The room turned out great! And your son is cute, cute, cute. You are such a cool mom, Brandi! Look at that awesome bedroom!!! It should be in a magazine. Love it all......especially that accent wall! A well layered room here lady, with some amazing textures and plenty of wow moments. Your son is a lucky man. I think I'll cry for weeks when my son gets to the teen years and I have to redo his room. LOVE this space! Great job...so many great ideas! Spacious and organized room, you're such an ideal mom. Omg you did a stupendous job with this room!! I LOVE it! Do you do this for a living? If you don't you should. If you ever want to guest post about your redesign let me know. The Brooklyn Flea is in Fort Greene in the summer and in the Williamsburg Savings bank in winter. It is great. Google it. Wow what an AWESOME room!!!! Love all the little details, everything works together so well! Laminate on the wall?? Aren't you a smart cookie?! Great looking room. Clever idea using laminate for a wall! You really did a great job! Your son's room looks fantastic now. I enjoyed your post, all your photos and all the details. That school desk is lovely. I came to see this room not because I have a boy at home any longer, but because I wanted to see the wood wall. I can't believe you used laminate flooring and honestly it is beyond gorgeous! I said I came to see the wood wall but the first thing I saw of course was that sweet smiling face of your son, lol. Like that face a lot, thank you for including it. Wow! Wow! Wow! No adjectives to describe how fab this room is! I don't even know where to begin! Absolutely love the plank wall, the cork board, the bed, EVERYTHING!! Superb, superb job! I would never want to leave this room! Wow! You did a really great job. Top notch! I loved it all. Wow, you certainly outdid yourself with this makeover. It's amazing. It's casual meets rustic meets sophisticated tween. Wow - you did a great job! This is the perfect place for a tween boy. You are very creative - love the closet doors, the wood flooring wall (who would have thought? ), all the artwork, bedding, pillows, everything! Wow!!! Extremely creative ideas. I love the idea of using the laminate on the wall! What a wonderful update! Love the wall, the cork, and the chalkboard. SO many smart things. I know what you mean about feeling the changes. They grow up so fast! Bramdi, so glad you stopped by so I could meet you and your gorgeous blog. You must be a designer because that bedroom is wonderful. What 11 year old would not love it!!! Its a big transition time for him and it looks like you are preparing him well. I have a granddaughter who is turning 12 in Dec and her interests in her room has changed drastically in the last few months. this is fabulous! such a change from the dragons. I don't know what I like most! the laminate on the wall? the chalk closet? so good! also, your pictures all look great, too! I just LOVE this space. It turned out so beautifully! I am sure your son just loves it too. The laminate wall looks great. I love that lightbulb lamp too! Where did you find it? Amazing brandi! So inlove with that laminate floor/wall panel!!!!!GENIUS!!!!! I too had a hard time decorating for my tween, though, your room is so much better than what I did with his!! !I'm inspired, we're renovating my sons room, and this one you did is just the right inspiration! Thanks and great job dear! I love this room! I think it's my favorite boy's room I have seen in a while. It's sophisticated and masculine yet youthful. I like your use of wood paneling and light bulb lamp. Where did you get the jar with the belt wrapped around it? Love that! What a FABULOUS makeover - that laminate floor wall is just gorgeous!!! Love your chalkboard doors too! Awesome job - your some must be absolutely thrilled? The room is beautiful! My two favorite parts is the chalkboard closet and laminate on the wall, ingeneous!! This is such a great boy room! It is boyish, but still has a sophisticated style. LOVE! I popped over from The Shabby Creek Cottage--thanks for sharing! Wow, Brandi! Amazing room! I'm dreading 11 -- I was thrilled when my 9 yr old requested a Spiderman room. You have so many interesting and gorgeous touches here; I particularly love that plank wall and the succulent on the xbox made me laugh -- Mom's touch! I'm sure he'll have a blast entertaining in his new room -- I would! WOW! You completely transformed your son's room! And I love all of the unique and creative things you did here and there, too! And I LOVE that plank wall, and what a wonderful idea to use laminate! That's amazing! I hope you are having a beautiful summer, Brandi! What an Awesome room for a handsome young man. You did a fabulous job. What a fabulous room! What a lucky boy! I absolutely love this room!!! Excellent job! I wouldn't change a thing. I love non_themed boys rooms. Rooms that are eclectic and can grow with them and you executed this perfectly. BTW what a cute little guy you have! You are SO talented! I love this room, and all the clever and creative things you did! Definitely a new follower! That is such an incredible room! Did he just love it? I'm sure others have asked, but where did you find your rug and cushion? Love em. And another person touting Annie Sloane chalk paint...I'm so curious about it! Excellent room re-do. You've got talent!! Beautiful! 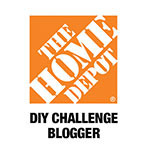 I love your ideas adn your blog! Absolutely loving the wood accent wall + the actual color of the room. You've done a lovely job! You are so handy in everything you do and this room is picture perfect. LOVE the little touches like the pushpin holder! that is too cool. This room is perfect for a growing young man and I bet he is loving it too. I love that wood accent wall, and using the drawer pull as a cup for tacks is brilliant. Excellent job overall. What a great room. So many fun and clever touches. wow- this room is amazing!!! i love all the textiles, colors, and touches that make it classic, boyish, and just perfect! Love this room. You made so many fabulous DIYs for it. Your love for your son really shines through. I love the arrow art and the panel wall and your pom pom pillow :) What a great room makeover! I love everything about this room! I have been wanting to do a wood planked wall like that in my living room but i feel like its a big commitment! Wow! What a lucky young man! Everything came together so great. Laminate flooring on the walls...GENIUS! The room looks wonderful and I'm sure your son loves it! My son's bedroom NEVER looked that clean. Wow! beautiful room, handsome young boy :-) The attention to detail is perfect. You need to come over and do this for me. lol Love this room. Wow, Brandi, you did an excellent job on his room. Love all the little details and thanks for sharing detailed photos. That flooring in the wall is such a fabulous idea and look. Definitely featuring this at Wow this week. First of all, I absolutely love this room! The laminate flooring wall = brilliant, and I adore the accessories and art!! I also have to thank you for your help on the no-reply blogger thing. I never knew how to undo that -- so thanks! Hi Brandi! Really great transformation of Caleb's room. (I have a Caleb too but he is really old...33). Such great details that you put in the room...just wonderful. 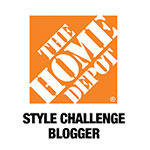 Congrats for being featured over at "Savvy Southern Style". Looks amazing!! Great job, I love it all! Yaaaaay Brandi! You did it! I have been looking forward to seeing your son's room, ever since you mentioned the planked wall. I'm woefully behind on my reading, but I did happen to see your feature over at Southern Savvy Style. You so deserve it. Using the laminate flooring for the walls was absolutely pure genius. And I love all the details of the room. I'm sure your son loves it. I know my 11 year old would. I need to get his room finished too. Seeing your son's finished room really makes me want to finish it right this very minute. Great job! This is amazing! I mean, it is just so cool. LOVE IT! Love it! The desk, the board, the plank wall. Thanks fornthe inspiration! This is amazing! You did such a great job. It's definitely magazine worthy! Love that plank wall! What a handsome son! I know you're so proud of him. It's hard to watch them grow up, but we know they can't stay little forever. The room is wonderful! I used one of the same drawer pulls the other day for a chalk holder. Amazing! I love that you used laminate flooring on the walls. There is so much inspiration here. I am sure your handsome son loves his new room. You really outdid yourself Brandi! I'd be afraid my son would never want to come out of his room looked that good! Such a great transformation!! Love it! My favourite is the laminate wall!! Genious!! Great to find your blog!! I'm following!! Oh how lovely brandi...I bet he is very happy with his new room! What an awesome room! I teach teenagers and having a "grown up" space to relax, do homework, and hang out with friends is so important to them. I'll bet your son LOVES his updated room. The wood laminate and "hip" rustic touches look great. What a great remodel! I'm inspired to do the same-love the wood wall. It's so strange how fast kids grow. Your son is adorable! Like everyone else has posted...I LOVE THIS ROOM! Both before AND After! Fabulous!! And I love that handsome Caleb! That bow tie is so....chic!! Great post!!!! Glad I FOUND you again!!! I love the wood flooring on the walls and the light bulb shaped lamp is so cool! Very cute boy too!! I absolutely adore his room! Both before, and after :) You did such a great job. I hope he is loving it. Brandi I love the transformation of this room - The chalkboard closet, the hardware...and that wall - simply fabulous! I bet Caleb loves it! Oh Brandi, what a fantastic room you have giving to your son! The plank wall is pure genius, but all the other elements you put in the room are adorable, the closet doors, the art, the bedding, the green painted table... the perfect room for your growing young man, I love it! What a handsome young man Brandi!!!! Brandi, his room is awesome! You did a fantastic job. Love that wood wall! LOVING THIS ROOM!!! there are so many great ideas here! thank you so much for following! Whoa, this looks awesome. I'm loving the laminate flooring on the wall. Tres chic. Your kid is a lucky chap. Ha I got my sister's hand me down room when I was 13. It stayed pink for two years. Lets just say, I didn't have friends over lol. Will you come do my boys' bedroom? That turned out fantastic. I think the closet door is my favorite, though the light-bulb lamp is pretty cool too. What a great post! Wow! Love what you did in your son's room! You are so talented! Thanks for leaving a sweet comment on my blog, thanks for visiting! I was just in your neck of the woods, Georgia, actually Powder Springs, visiting family. So nice to "meet" you and I will be back to visit...often! I love your idea of using a bin pull to hold tacks for a bulletin board. I hate having extra tacks stuck on the board and just love your clever idea that keeps them neatly organized. I also love how you used an antique match box holder to hold chalk for the closet doors. Great ideas! Woman, you are a genius. Seriously. Laminate walls. Amazing. drawer pull to hold tacks and stencils with chalk pen. Brilliant. And your blog is gorgeous! You'll have to give me some major pointers when I get there, as my blog is fine, but not fabulous. Absolutely WONDERFUL make over!!! Love that wood wall. Great idea! Your son is a cutie!! Congratulations, you have a handsome boy! 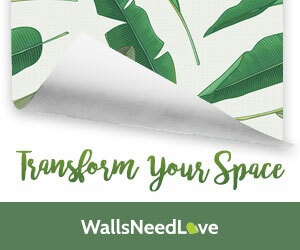 I have a tween room in the works and I'm so glad I found this link!! Great ideas! Must do the drawer pull for tacks!!!! Wow, that is one great makeover! Really nice! This room!!! Oh my gosh, my jaw is on the floor - it's amazing! You did an amazing job with his room. I had my eye on that bedding for my son's room and missed snatching it up before it sold out. Love the room!! Great job, and awesome idea with the laminate flooring! Love, love, love this room! Can you tell me the etsy seller for the arrow artwork? My daughter would love something like that! Hey Ramona! Thanks so much for stopping by. I appreciate your comments on my son's room. I tried to email you a response, but you are listed as a no reply blogger, so I hope you see my response here! What an awesome transformation! I love that laminate wood flooring on the wall. I've never used it so I'm wondering, how does it stay up on the wall? Is it peel and sticking? Hi Jenn! Thanks for your comments. I tried to email you a response, but you are listed as a no reply blogger, so I hope you see my response here! Each plank was laid by connecting the tongues and grooves. They are held in place with nails. We had the work done for us, but I'm sure this is something you could do with help. Awesome Awesome Awesome!!! I have been away for a long time, but I am so so happy to see this room!! It is bringing me all kinds of energy! Love the wooden wall. Looks great!! Stopping by from Kelly's Korner link-up. :)' Thanks for sharing. What a great boy room! I love all of the small touches you've added.